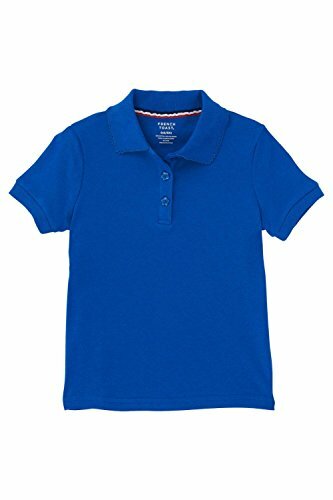 French Toast Girls' Big Short Sleeve Picot Collar Interlock Polo, Royal, XXL (18/20) | What Should I Say? An everyday basic, this super soft interlock polo keeps kid comfy from week-to-weekend. Heavy weight interlock, 3 button placket, and drop tail hem.